It's 15% off from teas to teapots plus you'll get Free UK Delivery on all orders over £40 - simply enter discount code JAN19 in the discount box at the checkout!! What are you waiting for? We've also created some special Valentine's Gift sets to help you guys out - plus they come wrapped in tissue paper and in a beautiful gift box - you are welcome!! What about one of the ever popular Keep Cups (plus they're still on offer!) or what about a cute little stump teapot with a couple of bags of loose leaf tea? Check out a Tea Gift Set here. Or maybe you'd like to give them a little treat each month? Well then, the Tea Subscription, is the ideal choice, it is the gift that keeps on giving! 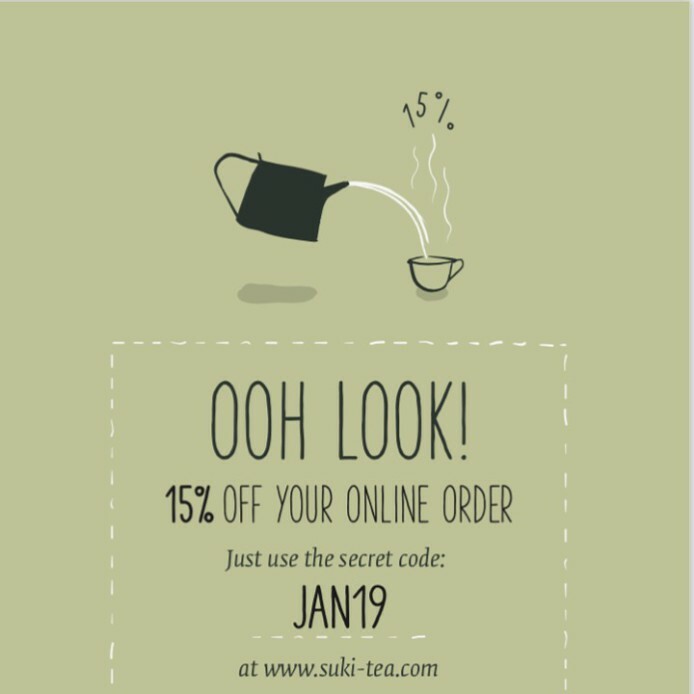 Or maybe you'd rather let them do the picking, in that case the brand new Suki Tea E-gift card is the perfect choice! Oh, you'd rather treat yourself? We say do it! Treat yo'self!! !